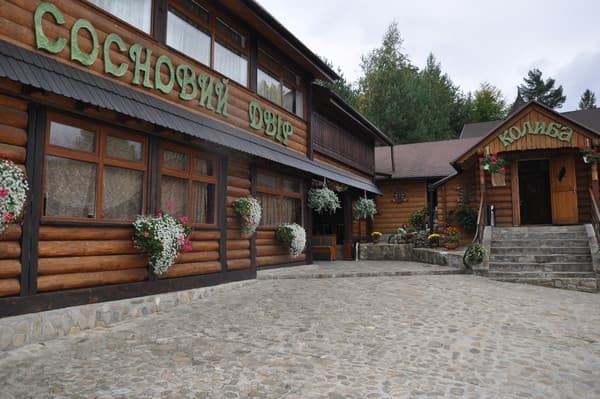 The hotel "Sosnovy Dvor" is located in a picturesque corner of the Ukrainian Carpathians on the outskirts of the mountain town of Kosiv in a pine forest, behind which stretch oak, beech, fir and spruce forests. The farmstead is located in a convenient place for rest, the main advantages are: near it there is a cable-lift lift on Mount Mikhalkovo, near-ordered lakes with fish and fast-flowing mountain river Rybnitsa good access and convenient parking, a large banquet hall for celebrations, comfortable hotel rooms among pine forest, Finnish sauna with swimming pool, vat, conference reception (there is a conference room) "Pine Yard" is a combination of wooden houses and arbors built in the traditional Hutsul folk style with mountain landscapes fth of the National Park Huzulschyna. All this creates unique opportunities for an interesting, full and healthy vacation at any time of the year. 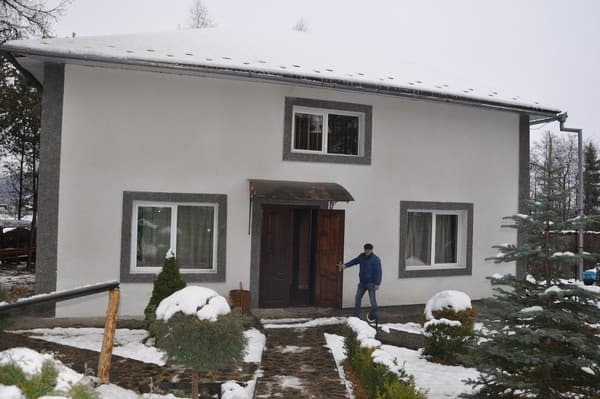 At the disposal of the guests of the estate there are 5 comfortable economy class rooms with 2-room apartments, 2 family cottages with the possibility of expanding seats to 5, and 4 suites that can accommodate up to 3 people. 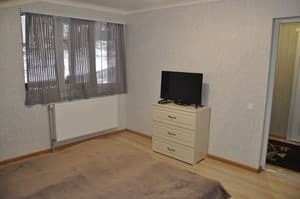 Each room has modern furniture made of natural wood, heating, air conditioning, satellite TV, free Wi - Fi, and other amenities. 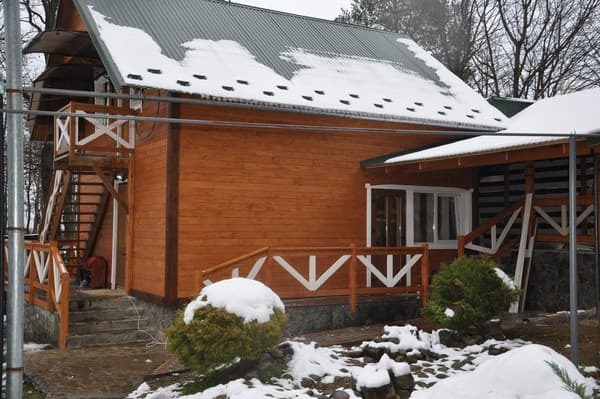 In the recreation complex "Sosnovy Dvor" there is a sauna with a swimming pool and a vat, there is a volleyball and children's playground, a place for preparing shish kebabs (BBQ, summer pavilions). Near the Pine yard there is an opportunity for the location of the tent city. 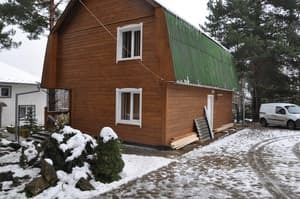 The homestead will pleasantly surprise even fanciful gourmets with its variety of dishes of European and Ukrainian cuisine (including Hutsulska), will fulfill an individual order: it will provide fresh home-made milk, environmentally friendly home-made products, vegetables and fruits. 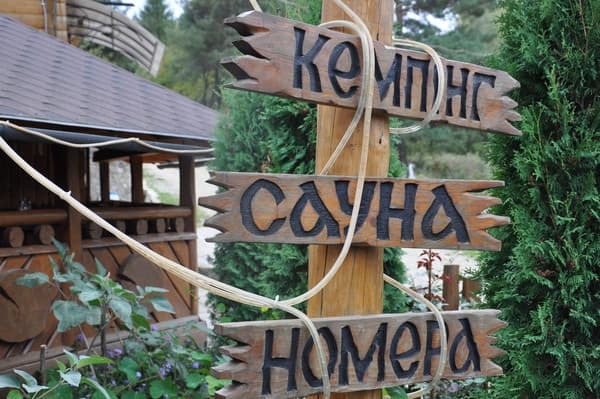 For lovers of traveling, car, bicycle, horse and hiking routes along the Hutsul Carpathians are organized, as well as picking mushrooms, strawberries, raspberries, blackberries in the forest around the manor. There is a bicycle, backgammon, chess, ski, fishing equipment, binoculars. Be sure to come to us! Description of the room: Economy class room for 2 people. 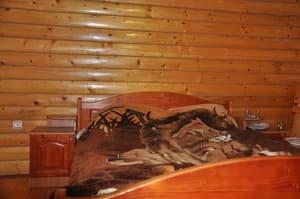 Satellite TV, Wi-Fi, 2 double bed, shared bathroom with shower and washbasin, separate entrance, heating. For children, an additional cot or inflatable mattress (on request) is available in all rooms. 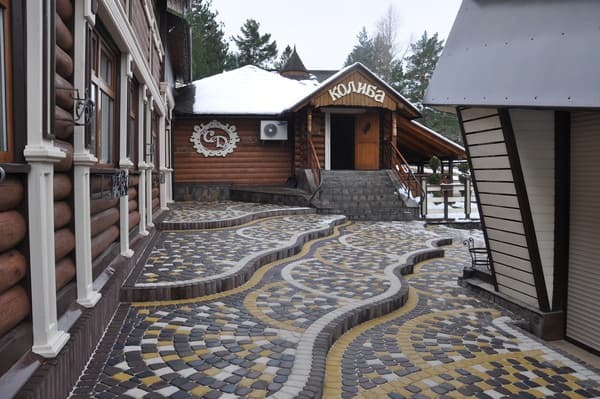 Restaurant "Pine Yard" on the territory, a kolyba and bar on the territory. Gromadskim transport from Ivano-Frankivsko abo Kolomi to the center of Kosova by bus by bus, from Kosovo by bus by bus to the bus station. Kuti, turn the right-hander to Ob'ezna road m. Kosiv odrazno for gas station WOG. After 300m. turn the wheel for the viscount.